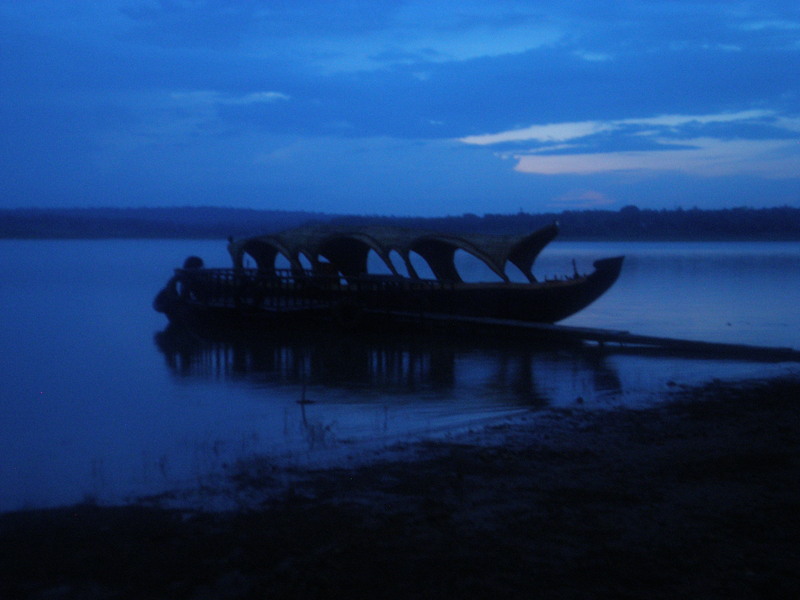 Kabini – where Nature Unwinds!!! ‘Kabini‘ – heard the name for the 1st time when the TV commercial for Orange County Resorts was playing again and again a year ago. The flute bit (check this out)was enchanting and inviting. The next course of action followed naturally – Google ‘Kabini’. 200 odd Kms from Bangalore Bengaluru, amidst forest area, natural serene place and the name of Orange County were reasons enough to lock this for the next holiday. Having missed the opportunity in summer, didn’t want to miss the second opportunity which came last week in the form of “Durga Puja” holiday and there we were off to Bengaluru en route to Kabini. Signs of “Your kind of Airport – Coming soon” welcome you as you touchdown in Bengaluru. For an airport which was just thrown open to public I guess 3-4 years ago, going for an expansion so soon means either the traffic has exploded or the planning was woefully shortsighted. Both are not of surprise in Incredible India! Weather in Bengaluru is one among the many things I love of the city and as expected it was pleasant and just great. As we navigated out of the airport one hoped that the distance of 208 kms would be covered in 4 hours. The reality was different. A light shower started glazing the Bengaluru – Mysore highway as we drove past the town Ramanagara where folklore has it that “Kitne Admi The?” the most enduring line of Bollywood and many memorable scenes of the iconic film Sholay were shot with the rocky terrain of this town as backdrop!! As we take a turn from Srirangapatna and on the final stretch towards Kabini, the scenic beauty just enthralls you. Away from the hustle bustle of the city and its smoke, a lazy charm engulfs you as you drive on what is just ‘R’ of a Road!!! As you keep seeing the signs of Airtel, Sun Direct and Videocon on top of houses, one cannot but feel impressed at the Dish TV penetration in small towns of India. DTH – Direct to Hinterland??? Maddening traffic before hitting the outskirts of the Bengaluru city, a 30 min. lunch break and the last ‘No Road’ stretch of 40 kms leading to the resort means we took in all 6 hours to cover 208 kms.!!! You need more than a normal welcome as you reach the resort after the long drive and we were not disappointed. Within few minutes in the resort, the journey and its tiredness are all forgiven and forgotten. The staff and the Nature start working their charm on you! 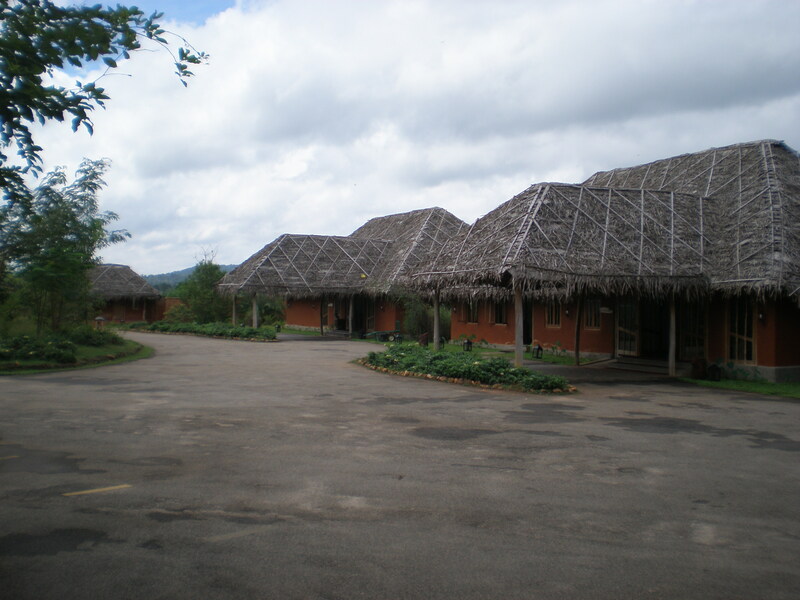 The resort is right at the banks of River Kabini and has a breathtaking view. The rooms are in individual hut style and meshes completely with the ecosystem. We are told that they have been styled in the “Kadu Kuruba”style which is the local tribe in this part of the world. An Activity instructor briefs you of the various activity options for the next 3 days. But he missed one important activity which was on top of our minds – Just lazing around! There was another activity which seemed missing. The jungle safari and the lake safari which take you to the Nagarhole forest reserve for some wildlife sightings of the ‘natural’ type have been banned by the Supreme Court. Though the ban has been lifted recently the local government is still skeptical of the ‘wild’ human types creating inconvenience to the actual wild types. So we had to make do with the captive elephant in the resort for some time pass. 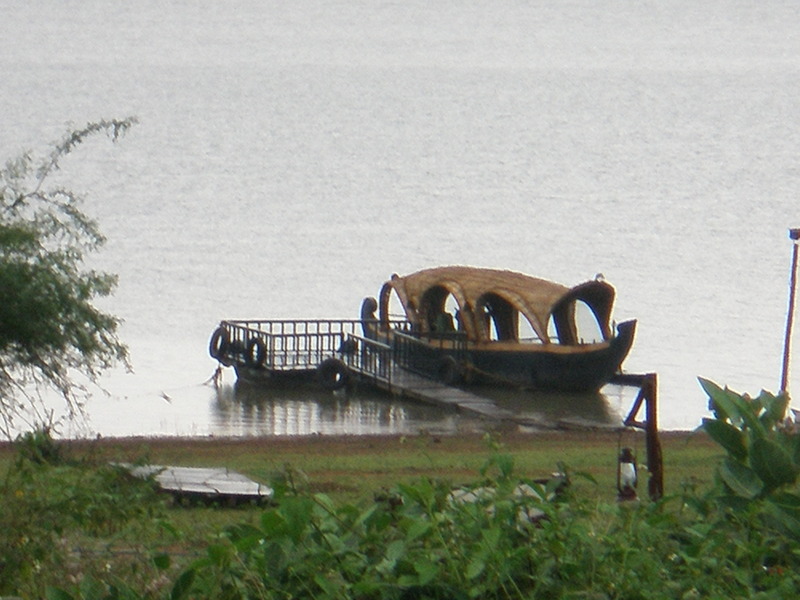 Sunset cruise in the lake, bird watching walks, Ayurveda therapy,…,… are all there to fill your time. A Coracle ride in the river brings you memories of Maniratnam’s classic ‘Roja’. 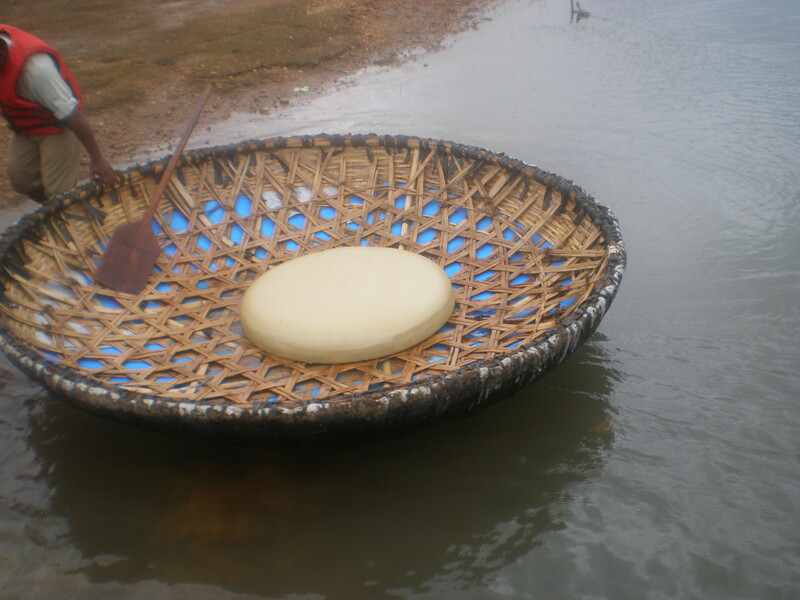 One cannot escape thinking of the captivating sequence of “Chinna Chinna Aasai (Choti si Aasha)” as the coracle swirls in water aided by the breeze. Take a row oops bow – Maniratnam, Rahman & Santosh Sivan!! The resort has a captivating “Reading lounge” with a collection of books centering around wildlife, nature,… I found it an amazing place – tranquil, with a stunning view of Nature and a collection of books. And free flowing Coffee!!! Yes, pure coffee from the hills of Coorg of the ‘filter’ type is served hot and you don’t need a better incentive to keep walking up to the lounge again and again! Invariably there were light showers in the evenings making the coffee tastier. In one of the evening we were shown glimpses of the “Kuruba” tribal culture with some folk songs and dance by the local men. Just realized that it’s a routine they have to go through every now and then for the urban ‘matter of fact’ people like us seeking some peace of mind there. However their enthusiasm and commitment were infectious. The way back was more predictable as it always happens. You know what is coming ahead. Except for a pleasant surprise when we stopped by at the town Maddur for lunch. As I was launching myself into “Maddur Vada” a local snack at “Adigas” – suddenly I could hear the enchanting sounds of “Santoor” instrument in the air. Pandit Shivkumar Sharma the great exponent of Santoor was walking in to have a bite there. The boy who was waiting his table had little clue that he was serving a living legend of our country – well can’t blame him. He is not of the Doordarshan generation and between Balaji’s emotional hatyachaar there is no ‘Bhaje Sargam Har Taraf Se’ fillers these days! The excitement of having the legend for company compensated for the food at Adigas which was certainly disappointing. On the Jet airways plane while returning– one couldn’t help think of the days when India had 2 world class domestic airlines. One (Kingfisher’s) future is uncertain and the other (Jet Airways) is living in past glory! Kabini? Kabhi Nahin! Was the refrain as we endured the 6 hour drive on our onward journey. But the place, the resort, its people, the sights, the serenity, coffee …,… meant it was all worth it. After all you don’t want to miss a place where Nature also unwinds and takes a break!!! “Kal bhi, aaj bhi, aaj bhi kal bhi,..” goes the jingle of one my all-time favorite ads in Indian TV and this was for the “VIP” luggage. I’m not sure so much of the “Facebook” generation, but I’m certain that this ad resonates with what I call as the “Doordarshan” generation to which I belong. Every generation grows up on something which it then holds with much nostalgia for life. I for one, grew up when Doordarshan just started ruling the airwaves in the 80s. With the wisdom of hindsight, one can say that the technology was prosaic, the choice was none and the content naive but it was a time when for most, wake up alarm on a Sunday would be the sound of the conch in “Mahabharat”, guests had to just wait if they dropped by during “Hum log”, Sunday evenings were not for Dine out but for “Movie in” and ‘TGIF” was not for pubbing but for getting home to catch the latest film songs with “Chitrahaar” or “Oliyum Oliyum” !!! Interspersed with these were the TVCs through which marketers of the day were trying to increase the market share of their company’s wares. This blog is a tribute to some of that work which in my opinion is memorable. They may not be the best from marketing theory or strategic stand point but unforgettable certainly they are!!! 1. Bajaj Scooters – “Hamara Bajaj” – The commercial captured the mood of the rising or rather riding India those days – the jingle of course was masterclass. 2. 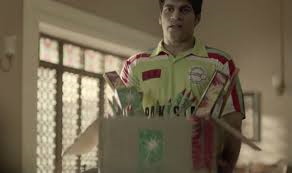 Fevicol – ” Zor Ka Jhatka” – This ad started the creative journey of the brand I must say. ( features Rajkumar Hirani as a model !!! ). Much later the advg. which had raw humor as its thread would catapult the brand to a marketing trailblazer ! 3. Frooti – ” Mango Frooti – Fresh’n juicy” – Made Frooti a “Xerox” of tetrapack fruit drinks. Even today in trains they don’t sell fruit drinks, they sell only Frooti !!! Why then grow up ? 5. Maggi Sauce : ” Its different” – While most ads become memorable becoz of endearing images or jingle this appealed to one’s taste because of its idea, story and its characters. Javed Jafry and Pankaj Kapur certainly made it different boss! 6. Nirma : “Washing powder Nirma” – Doodh se safedi, Nirma se aayi – Even the brand managers feel that the jingle is so memorable that they continue the link even to this day !!! The original commercial was typically made Sasta, Sundar but tikau ! In the 90’s Nirma rattled the hell out of Hindustan Lever at one time ! 7. Pan Parag : The script, the actors ( Shammi Kappor, Ashok Kumar ) a typical Hindi move scene type – a great mix. 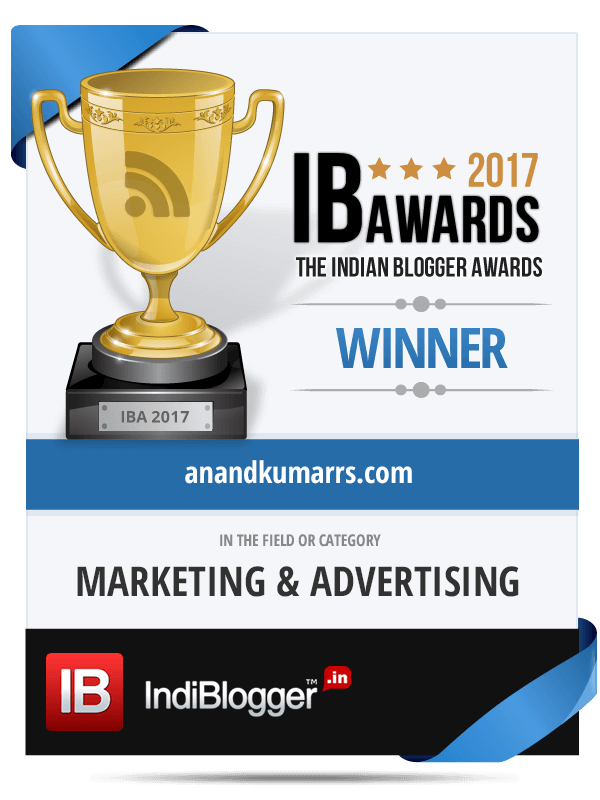 Made the brand a 1st mover in this category. Ghutka in sachets became fashionable ! 8. Rasna : ” I lov u, Rasna” – This line and the Rasna Girl made the ad such a lovable one. It remains an Old Classic. Where is Rasna and the Girl today ? 9. Surf – “Lalitaji” – Alyque Padamsee’s claim to fame. It related to the middle class and tried to change buying habits and succeeded too ! Though I felt the lady a bit irritating those days ! 10. Tata Steel : “We also make steel” : This shows that an ad can become memorable without a great jingle. One of my personal favorite corporate campaigns ! 11. Vicks – “Gale Mein Kich Kich” – The models did a great job. 12. Videocon Washing machine : A very simple straight forward ad which became famous because of its catchy jingle. 13. VIP Luggage : Kal bhi – Touches an emotional chord with its poetic lines and imagery – I thought it was a great campaign which removed functionality and brought emotions into this category advg. 14. Woodwards Gripe Water : I remember this ad more in Tamil. ” Enna Aachu ? / Kya Hua ? ” A simple idea, executed very well. 15. Mile Sur Mera tumhara – Though it was not a TVC perse, one cannot miss this video in any list which talks of DD or “Good old days“. Well I’m not sure if that list was exhaustive and covered all great TVCs of the 80’s. It would be nice if readers pitch in as well which will take us back to those unpretentious days when sitting in front of the TV and watching ” Prannoy Roy’s – The World this week” was more exciting than today’s news that keeps “breaking” by the minute ! That brings to the end of this piece which looking back could have been titled “Memoradilia“ !! !